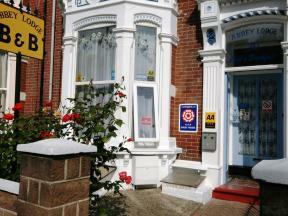 Abbey Lodge is a large, family run, Victorian guesthouse situated in the heart of Southsea. We invite guests to visit and enjoy our welcoming atmosphere & home cooked traditional English breakfasts. The Trafalgar Guest House has accommodation available for singles doubles twins and families. All rooms are en-suite and furnished to a very high standard. TV hospitality tray and hairdryers are provided.